Wisconsin Chimney Technicians is your number one resource for all Milwaukee chimney services to prevent house fires, but we don’t just focus on your chimney. Dryer fires are a leading cause of residential fires every year and are easily preventable with fast, affordable dryer vent inspection and cleaning. Just as creosote builds up in chimneys, a commonly overlooked safety issue in many homes is the buildup of lint in dryer exhaust ducts. Lint builds up in the exhaust tube over time and can eventually get thick enough to block all exhaust venting. This causes excessive heat build-up capable of starting a fire in the ducts and dryer. Blocked dryer exhaust tubes can also lead to a buildup of dangerous carbon monoxide in gas powered dryers. Blocked dryer exhaust tubes create a serious potential fire hazard for you, your family, and your home. Don’t play with fire! Call Wisconsin Chimney Technicians and schedule your dryer vent cleaning today. Why Use a Professional Lint Removal Service? Many people who hear of Milwaukee dryer vent cleaning services ask where the lint comes. After all, lint traps are designed to capture lint during the drying process. While it is true the trap protects the dryer vent from the bulk of the clothes lint, it isn’t a catch-all solution to the lint problem. Even if you clean the lint screen in your dryer after each load, each missed lint particle will build up over time. Lint buildup is an accident waiting to happen. Starting a house fire is as easy as letting enough tinder collect around a heat source and doing nothing. Lint is a frighteningly effective way to start a fire—in fact many people bring bags of dryer lint on camping trips precisely because it turns sparks into flames so easily. Clean dryer vents are especially important in winter when the home heat is on, the air is dry, and static electricity is more common. Faulty wiring, excessive heat buildup and static electricity are all potential ignition sources. Periodic professional cleaning of dryer vents and exhaust ducts greatly reduces the risk of fire. The Waukesha dryer vent cleaning professionals at Wisconsin Chimney Technicians will quickly and easily clean all the accumulated lint from your entire dryer exhaust system. A frustrating truth is your dryer is one of your home’s costliest appliances in terms of energy use. Worse, blocked dryer vents can raise your utility bills even more. Lint buildup in dryer vents means it takes longer for clothing to dry, so your dryer works harder than it has to, driving up the energy cost and creating an excess of heat. Ask yourself if you’d rather pay for affordable dryer vent cleaning now or get stuck paying astronomically more for a new dryer. Worse, you could end up shelling out dough for fire damage remediation services down the road, which is an dangerous hassle to boot. 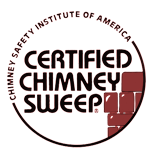 Complete dryer duct cleaning from Wisconsin Chimney Technicians is fast and effective. Extend the life of your dryer, minimize your energy bill, and protect your home and family from unnecessary risk of fire. We don't just have the best service, we have some of the best prices for lint removal in your dryer ducts. 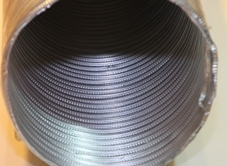 When dryer ductwork isn’t easily accessible, it’s easy to neglect regular cleaning. Save time and spare yourself the trouble of trying to do the dusty, awkward work yourself. Afterwards you’ll still be wondering if you even got it all. Our technicians will inspect all the areas where lint commonly collects. We then remove any lint buildup from around the dryer’s motor and heating element, as well as behind and around the dryer. While cleaning the dryer vents, our technicians inspect the entire exhaust system for potential hazards such as improper materials or routing. 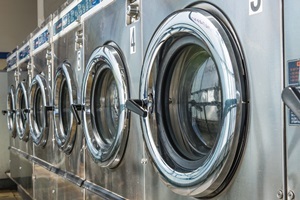 Gas-powered dryers should have periodic inspection by a professional to make sure the gas line is connected properly and leak-free. Call Wisconsin Chimney Technicians for affordable dryer vent cleaning services and enjoy peace of mind knowing your dryer and all the ductwork have been thoroughly inspected and cleaned by professionals. Lint buildup prevents moisture from being vented during the dryer cycle. Clogged dryer vents are not only a smelly nuisance, they are a serious fire hazard. Lint removal services from Wisconsin Chimney Technicians get your dryer running safely and efficiently again. Don’t take chances with the safety of your home and family. You CAN prevent dryer fires by calling Wisconsin Chimney Technicians for fast and affordable dryer vent cleaning. Wisconsin Chimney Technicians serves Walworth, Kenosha, Washington, Waukesha, Ozaukee, Milwaukee, Jefferson, and Racine Counties. 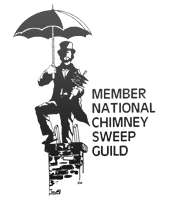 Contact our Milwaukee chimney sweep experts today to schedule your service. For dryer vent cleaning or any other Milwaukee chimney services, call (262) 443-5933.